Losing a baby can be devastating and one of the worst pains you can imagine. I created this necklace as a beautiful tribute to help grieving mothers remember their baby. 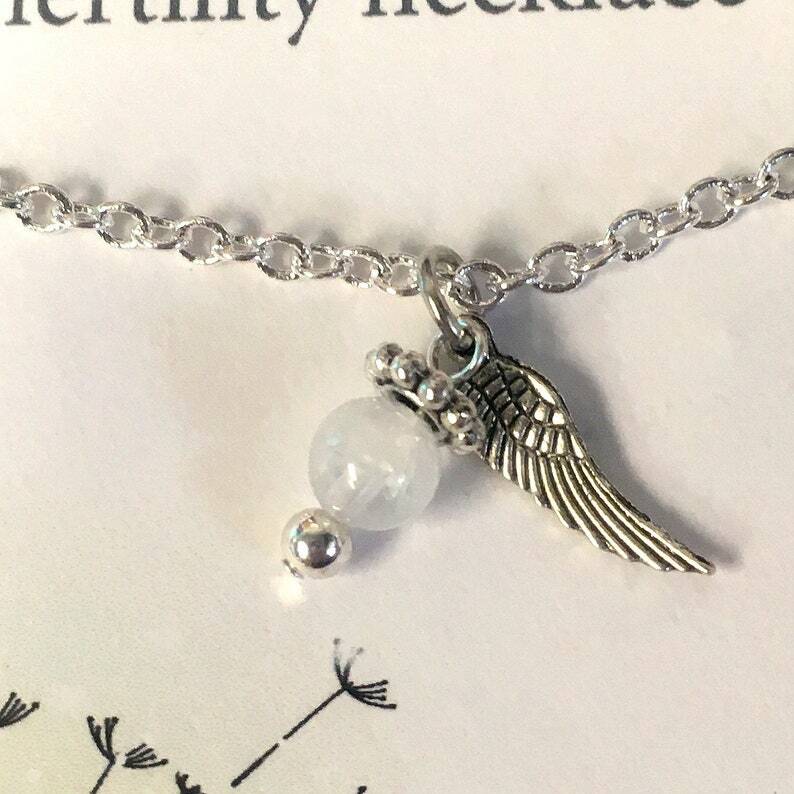 Encourage positivity within yourself and enhance healing while wearing this Angel Wing fertility necklace! Choose your own personal gemstone boost! Necklace is shown with a moonstone gemstone dangle. The Angel wing signifies a loss. "This was beautifully done, and my friend loved it! And guess what, now she's pregnant!!!!" "I bought one of these a year ago, and I'm sitting here with my newborn twin boys! 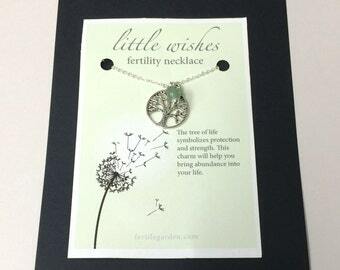 I am now buying one for my good friend who is going through fertility treatments. Thank you for your help!"